For online players, bankroll management is one of the crucial things that can prevent them from losing all of their money instantly and that can make the fun last longer. 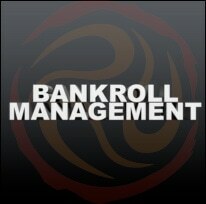 Some of the things that are part of bankroll management are loss prevention, playing the right games and etc. When combined, all of these things not only can help you keep your initial deposit, but they can also increase your chances of winning some cash. Hence, we have prepared a list with online casino bankroll management tips that every player should be familiar with. It is widely known that some games have higher house edges than other games; for example, blackjack played with the most liberal rules has a house edge of 0.28%. This means that if you play a game with a high house edge your chances of winning are minimal. On top of this, players sometimes choose games whose rules are not familiar to them. Therefore, our first advice is to carefully choose the games you are playing; first, try to play games that have lower house edges. Second, learn as much as you can about a particular game and its rules before you decide to join the table. One of the best ways to control your spending is to divide your bankroll. You should always make a plan about how much money you can afford to play with in a particular month and then split that amount up so you can have funds for playing every week. For example, if you decide that you are willing to spend $400 in February, then play with no more than $100 per week (4 x $100 = $400 bankroll). This strategy can be used when starting a game session too. Playing a casino game is all about the excitement and entertainment; hence, losing your bankroll after a few bets can ruin the overall experience. That is why calculating the optimal bet size is a good way of securing long and thrilling sessions. Usually, the best way to calculate this is summing up the house edge with the number of hands per hour and possible player errors. When you are playing blackjack, for example, the smartest strategy is to calculate the amount in a way that you have at least 30 bets. Imagine that you have deposited $100 and played for a while with the money. After several successful game sessions you end up having $200. Our advice in this situation would be to withdraw your initial deposit money and continue the game with the winnings only. The reason is simple: you will prevent losing your initial stake and you will be able to play with it some other time. Chasing losses can be the worst thing that ever happened to an online player. There are some people that simply cannot accept that in gambling you can have a good or a bad streak and hence they make some really bad decisions after several losses in a row. Our advice is to never chase your losses. The best thing to do is set a spending limit and once that amount is lost – leave the game! Also, if you have lost most of your money, but you want to prolong the playing, you can lower the betting amount and hope that a winning streak will hit you. Gambling requires skill; nevertheless, in many cases luck plays the main role. As a result, there can be a change of fortune and players can find themselves winning several times in a row. This can make them over confident and motivate them to use a progressive betting method which is one of the fastest ways to lose their money. Hence, progressive betting methods should always be avoided! There is no place for emotions at online casinos. When you are playing real money casino games you can easily get angry and irritated if you are losing. When emotions take over you, it is highly probable that you will make some bad decisions during the games because your judgement is compromised. Therefore, always try to stay calm and keep to your strategy. However, if you feel that that you cannot control your emotions at the moment, the smartest move is to take a break right away. All of these tips mean nothing if you don’t know when to stop playing. Sometimes it can be really hard to leave the table and if you are not able to stop then maybe you have a gambling problem. Even winning streaks come to an end and all you have won can be lost within several minutes if you are playing for hours. Therefore, it is the best to limit your playing time and once that time is over leave the game no matter whether you are winning or losing. Playing casino games can be one of a kind experience if you know how to deal with it. Even though enjoying real money games is exciting and fun, it also can be very dangerous if you don’t know how to manage your bankroll. Therefore, we made this list for you and we strongly recommend you have these tips in mind every time you start playing your favourite casino game.